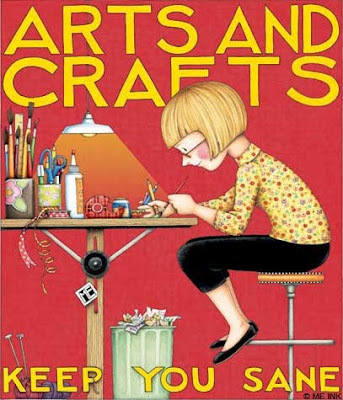 I think every crafter has a special place in their heart for Mary Engelbreit. 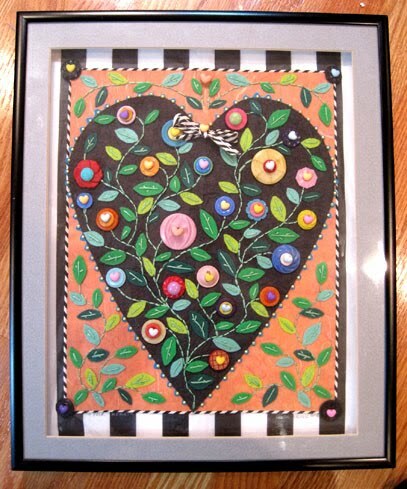 My Mother-in-law and her mother have always loved anything and everything Mary Engelbreit. I used to visit teach a sister who's house was honestly ceiling to floor Mary Engelbreit. If you aren't a lover yourself I am sure you know a woman who is. I came across this photo and I wish I could tell you where I found it. I believe it was on the Mary Engelbreit blog. I couldn't find it on there again though. I really liked it and at the time was trying to think of a gift to give to my Mother-in-law. Here is my version. 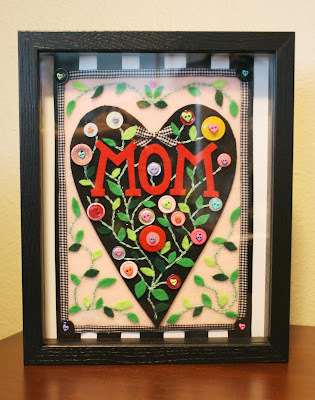 You could make this for your mother or mother-in-law. You could even change it to say friend or sister to make it work for your Mary Engelbreit enthusiast. 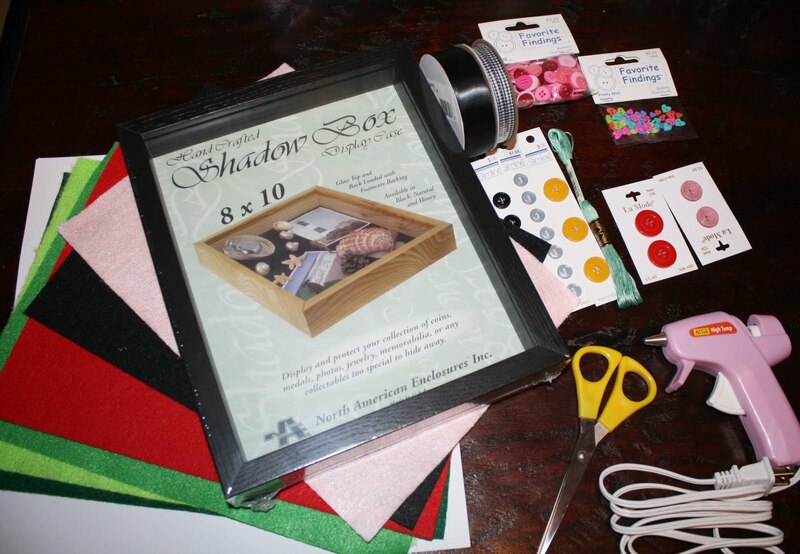 Start by cutting your white card stock to fit in the shadow box. This tutorial follows an 8.5 x 11 shadow box. 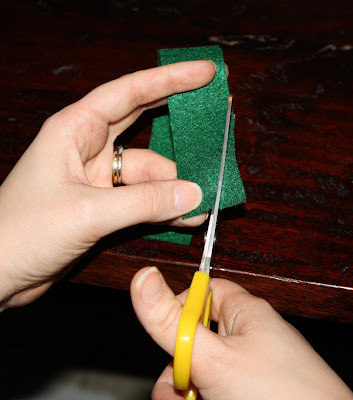 Cut 5 pieces of black ribbon in 10 3/4" strips. Glue or tape ribbon on paper a half inch apart starting from the middle and working your way out. You will want some of it to over lap. Cut pink felt in a 6 1/4" by 8 1/2" rectangle. 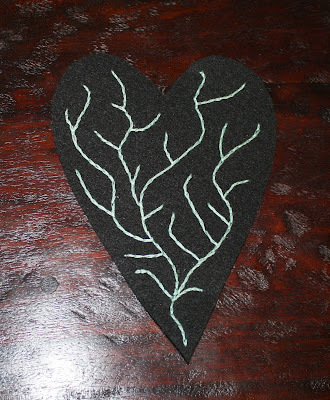 Also cut heart out of black felt. Drawn a line with a pencil of where you want to stitch, then stitch along the line. You can use this as a template. 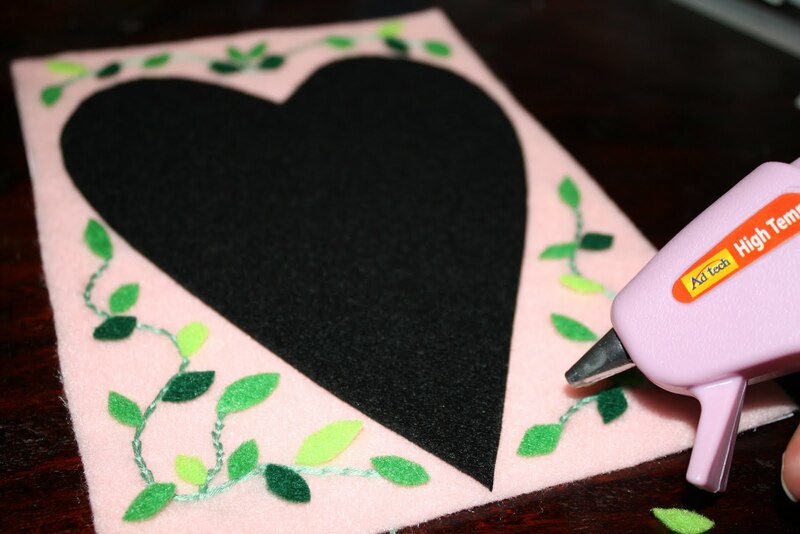 It is also best to have your black felt heart to use as a template so you know where to draw your line for the stitching. 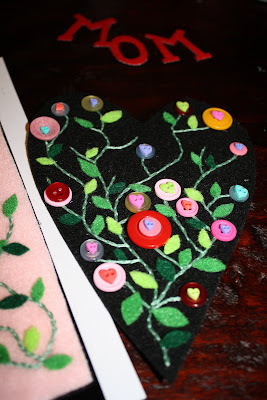 Place the heart on the pink felt, but don't glue. 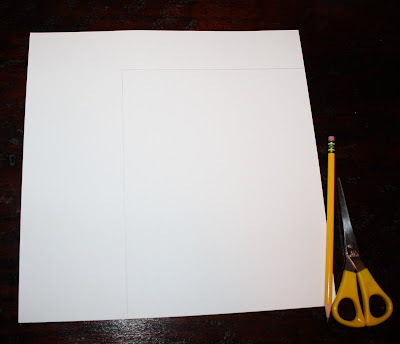 This will allow you to use it as a guide to place the leaves. First place leaves where they will go, then glue one at a time. 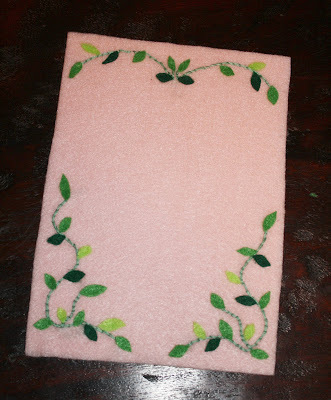 This is what it will look like after you glue the leaves down. 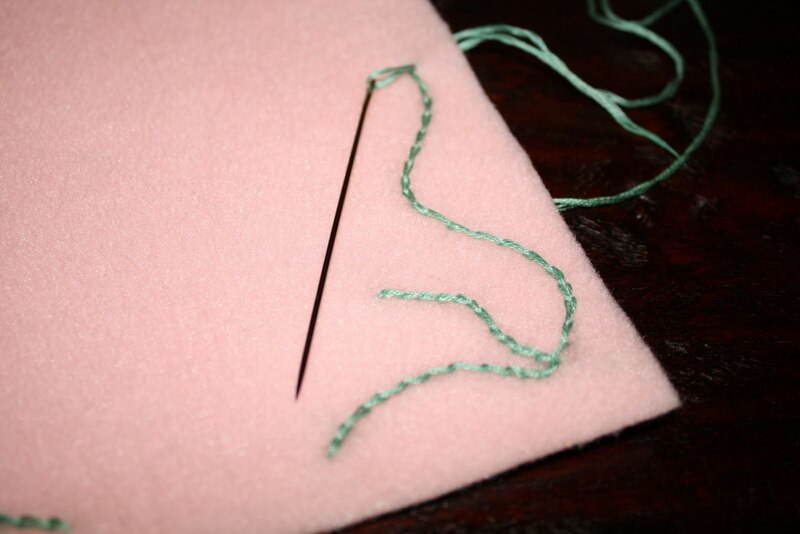 Isn't it starting to look more like something then just felt and thread? 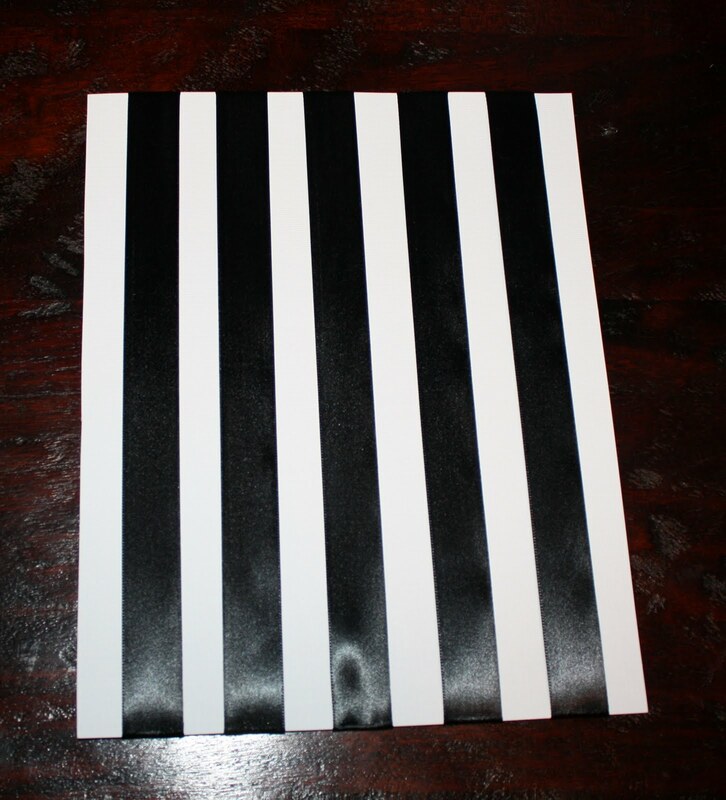 Now you will trace your lines for stitching on the black heart. I placed my bigger buttons down give me a guide but these can be more random. 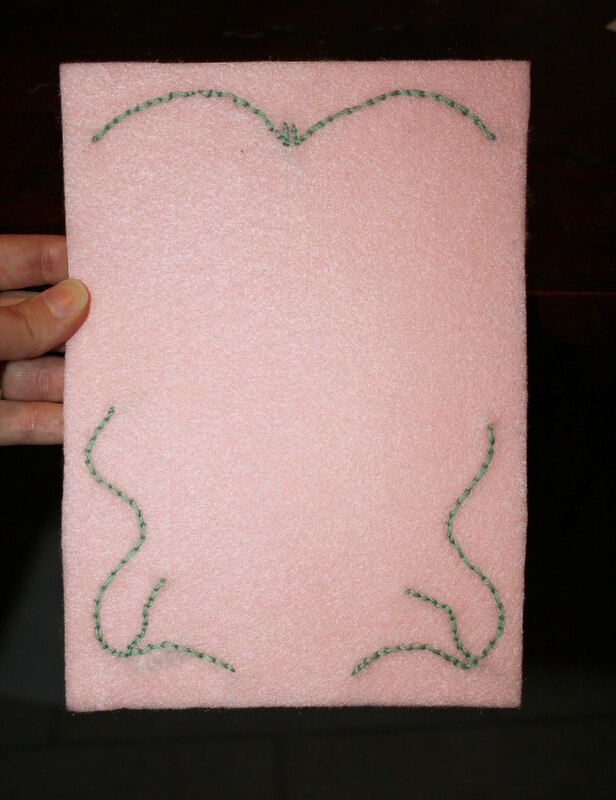 Everything is being glued over the top of the stitching. 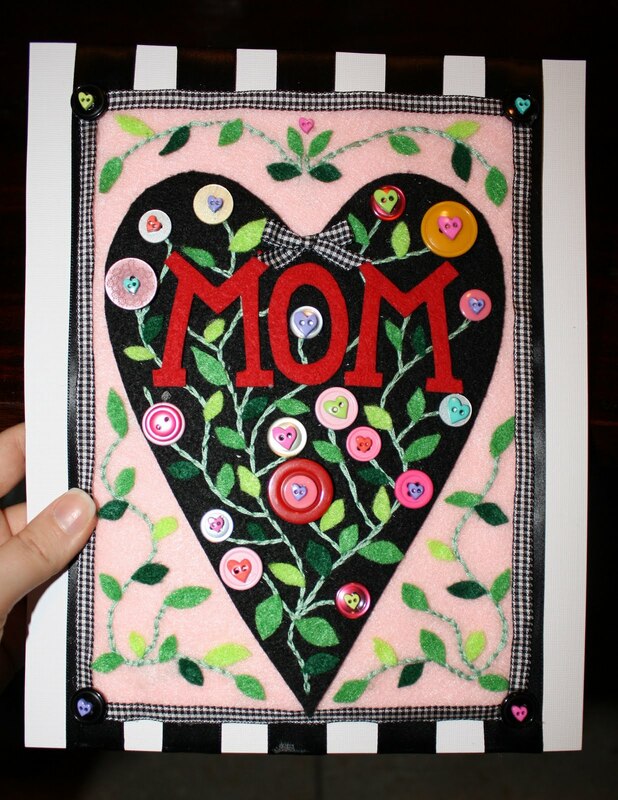 You can use this template to cut MOM out of red felt. 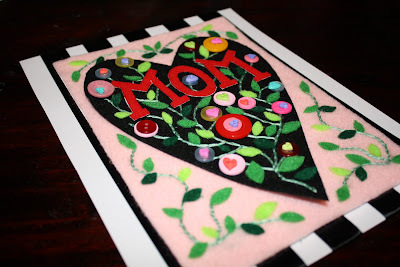 DO NOT glue MOM on yet but place it on the black heart so you will know where to place the buttons and leaves. The leaves on the heart can be placed depending on how you did your stitching. I started from the bottom placing the leaves and buttons but not gluing them. After everything is placed then you can glue. I waited to do MOM last. Remove paper to expose adhesive. I also added a little hot glue to make sure it stayed on well. Now glue the decorated heart to pink felt. 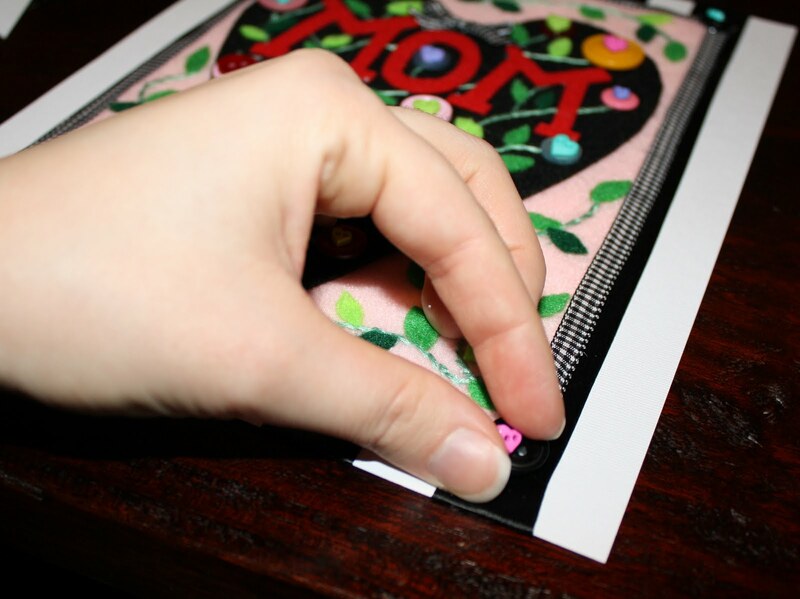 Then glue the pink felt to card stock with ribbon on it. Line the pink felt with the black and white ribbon. Also tie a bow with the black and white ribbon and add to top of heart. 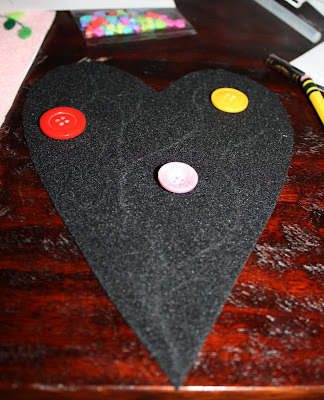 Glue black buttons and heart buttons to every corner. There you have it. It's ready to go in the shadow box. 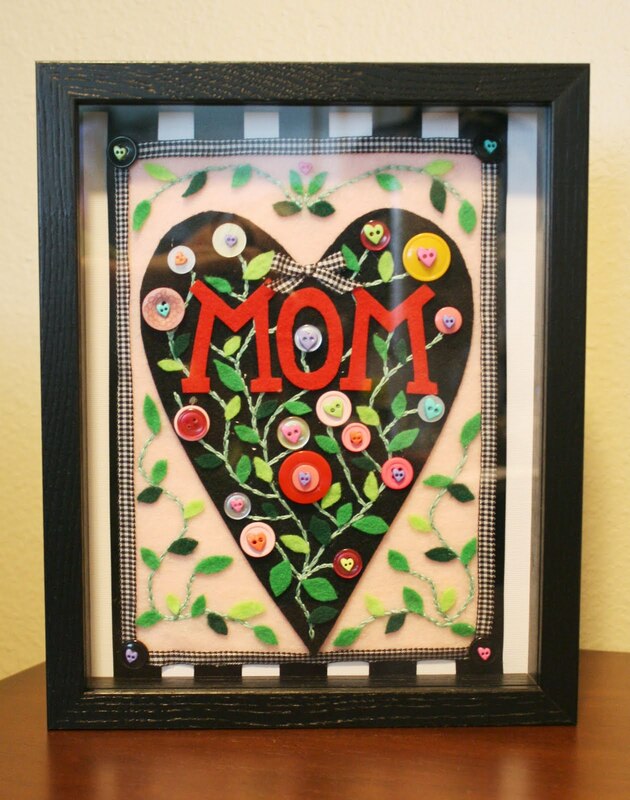 On a scale of 1 to 10 for love of doing a craft this one gets a 9. I really enjoyed it. 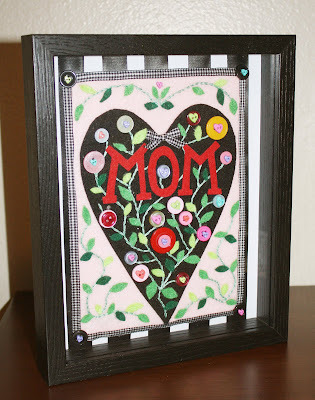 I love, love, love the one you guys gave me for Mother's Day!! You're so talented! !